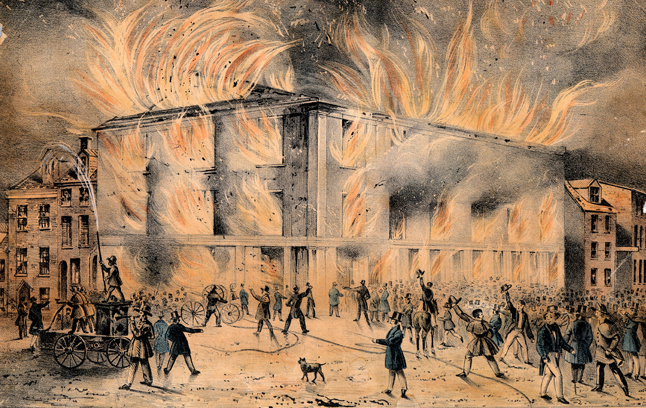 John Caspar Wild, Destruction by Fire of Pennsylvania Hall, 1838. Lithograph. Library Company of Philadelphia, *W94 [P.9057.27]. 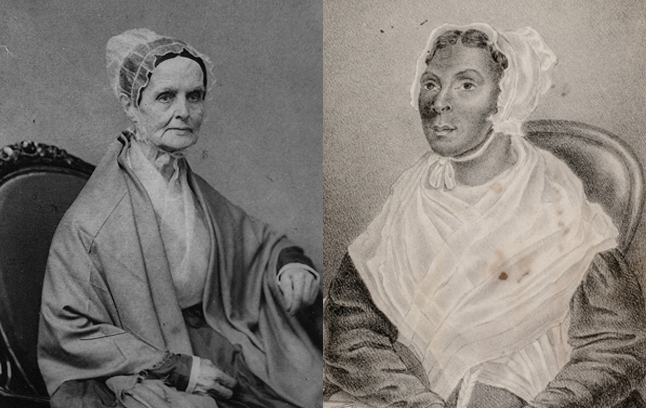 Left: Lucretia Mott, ca. 1860–1880. Library of Congress Prints and Photographs Division, Washington, D.C., 9750024. Right: Jarena Lee,1849. Religious Experience and Journal of Mrs. Jarena Lee: giving an account of her call to preach the gospel, frontispiece. Engraving. 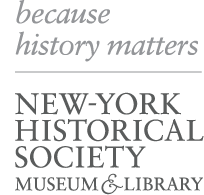 New-York Historical Society Library, CT.L4784 A3 1849. Left: Lucretia Mott, ca. 1860–1880. Right: Jarena Lee,1849. “Breaking the Rules” focuses on experiences of American women during what a Boston newspaper dubbed “The Era of Good Feelings.” The period of the 1820s through the 1840s was marked by relative political stability and the burgeoning economic opportunities connected with the early Industrial Era. The “good feelings” did not extend to all—the practice of slavery, entrenched racial and gender inequality, and the hard realities of many people’s lives continued. And through it all, women of all races and social classes continued the labor of determining what place women should hold in the new United States of America. This unit explores two intertwined women’s movements of the 1820s through 1840s: the cult of true womanhood and the rise of the reformers. The cult of true womanhood replaced republican womanhood as the guiding ideal for women’s daily lives. With the nation steady on its feet, middle-class women were discouraged from pursuing considerations of citizenship and politics, and instead redirected to focus on home, religion, and raising sons who could enter the world of business. At the same time, many women turned their newfound moral superiority outward, launching a reform movement that would lead, in fits and starts, to the earliest calls for women’s suffrage.